A new program at Sitting Bull College seeks to build fluent Dakȟóta / Lakȟóta speakers through an innovative new program that teams fluent speakers with apprentices. “The D/Lakȟóta Master-Apprentice Program (DLMA Program) is based upon a best practice language revitalization model designed for highly-motivated teams consisting of a fluent-speaking Master teamed up with one to two learner Apprentices. The team members will commit themselves to spending a number of hours per week together, doing activities while speaking only in the D/Lakȟóta language. Applications to the DLMA Program will be evaluated based on applicants’ current level of D/Lakota language proficiency and dedication to D/Lakota language and culture revitalization within the Standing Rock community. As there are multiple learning opportunities for beginner language learners across Standing Rock, for this program we are seeking applicants who have already achieved an intermediate level of proficiency in D/Lakȟóta (or above). If you have taken Sitting Bull College NAS 102 or LDL 126 or higher (or equivalent at another college), you will be eligible to apply to this program. If you have established intermediate proficiency in the language through another program or approach, please fill out the relevant questions below in detail. All participants will be paid an hourly rate only for the direct time in the Master Apprentice language learning environment, doing activities while speaking only in the D/Lakȟóta language. Payment is contingent upon the successful recording and uploading of each session. We are unable to provide funding for non-direct time spent setting-up sessions or traveling to and from sessions; mileage will not be reimbursed. All participants are required to coordinate and attend consistent weekly meetings with up to two other individuals, including an elder fluent-speaking Master and another Apprentice, for up to 7 hours/week for a full calendar year, not to exceed 25 hours/month. All participants are required to attend monthly check-in meetings with Program staff and other participants. This Program is supported by a National Endowment for the Humanities grant to the Lakota Language Nest at Sitting Bull College and the Standing Rock Sioux Tribe Language & Culture Institute. 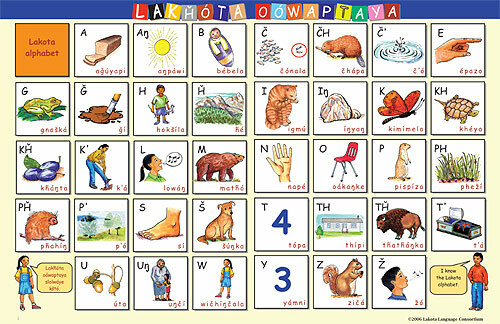 This entry was posted in Lakota language, Language Preservation, Tribal Education and tagged Lakota language, Last Real Indians, LRInspire, matt remle by lrinspire. Bookmark the permalink.